We all want to create the next big thing, but let’s face it: not everything we make is a masterpiece. Even when we strive for perfection we can often fall short, and the average blog will be filled with a mix of posts of various quality. That is just a part of life, and the creative process as a whole no matter what the genre. But just because it doesn’t go viral doesn’t mean you can’t work for it to get shared. Every bit of content you create, even if you feel it isn’t the best, is an opportunity for expanding your reach. It just takes a little bit of work to make sure you have generated something with appeal to your target audience on a wide scale. There are many things you could technically do to make sure this happens. But I believe the bulk of it comes down to three main rules of thumb. Sure, there are one or two people out there that prefer everything they read to be entirely academic and free of all tone. Those people are usually less than acquainted with the social nature of a blog versus an official publication. Which is why it is easy to ignore them and move on to the larger audience of people who aren’t complete freaks. When writing content for a blog, you are engaging the reader one on one. It isn’t meant to be a place for you to punch them in the eyes with facts, but rather sit down and have a conversation. Everything you write should have that friendly tone and accessible tone, and just sound like you. Which means putting in those little elements of your personality that are immediately recognizable as unique. People are coming to you for a reason, and it is probably to learn or see something that they haven’t before. Or just to experience the niche you are working in from an authority, whatever the topic might be. That means it is your job to be as informative as is possible, giving them what they are looking for without question. Avoid speaking in a way that takes away from the image of expertise that you are expected to have. Most people aren’t going to go out of their way to share your content. Especially when so many of the web’s users are habitual skimmers, and want to move on to the next one as quickly as possible. Which is why you have to both remind them to share the post, and make it simple for them to do so. Thankfully, this is easier than ever with the rise of social media syncing all over the web. All you need are sharing buttons installed in each post, and to provide a good mix of sites which they can be shared to. Don’t just have the trinity (Facebook, Twitter and Google+) available. Give them access to Pinterest, Reddit, StumbleUpon, LinkedIn…any social network you think would be most relevant to your blog. Then put it in a place easy to see, such as in a sidebar beside the post itself. 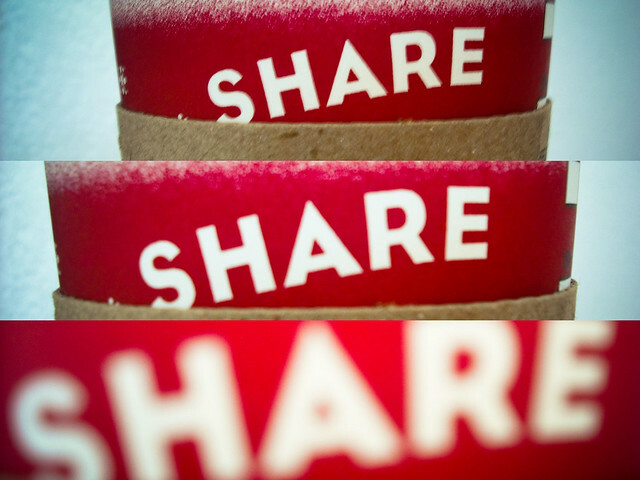 Getting people to share your content is up to you, but it doesn’t have to be difficult. Don’t feel like only your best work will get attention; a few tweaks and you will be sure to see shares for all of your posts, which can only mean good things for your blog.